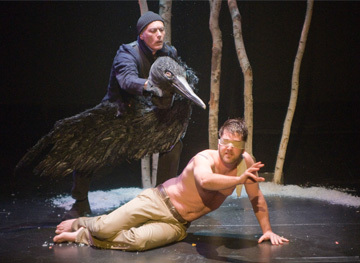 (left to right) Dale Place as Black Bird and Thomas Piper as Connor in afterlife: a ghost story. Photo by Andrew Brilliant/ Brilliant Pictures. afterlife: a ghost story by Steve Yockey, New Repertory Theatre, 1/16/11-2/6/11, http://newrep.org/afterlife.php. Contains strong language. “Honor thy father and mother” is the first and only commandment in the Horvath family. In Vengeance Is The Lord’s, the Horvath family sticks together, supports each other—in all endeavors—but to what end? The play starts out with a normal family Thanksgiving scene; the father starts by telling about his need to turn someone in who stole a car and the mother talks about forgiveness for Myers, their daughter’s killer. As the story unfolds, however, the veneer is lifted to reveal not only hypocrisy but also an active crime family. The audience and the youngest son Donny begin to question what justice means and how far love and loyalty should extend within a family. The set by Eugene Lee provides a “gilded cage” for the Horvaths. The house looks like any normal suburban household—with one exception—Cheryl’s room. While it seems like any other bedroom in any other house, this bedroom haunts the Horvath family. Along with the Horvath family, the audience is constantly reminded of the empty room and Cheryl’s horrific murder as the house spins on a turntable. The effect of the turntable mirrors the family’s discontent; when they slow down or stop, the family ends up confronting problems that they would rather ignore. 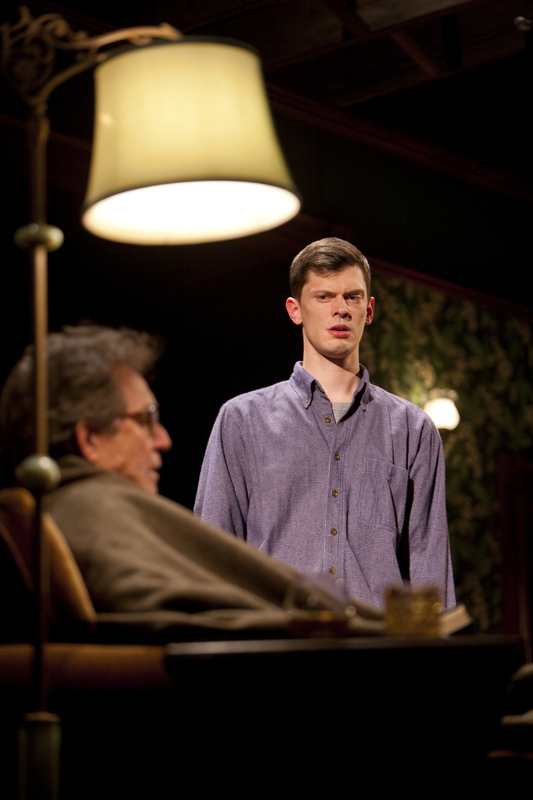 The lighting design by Japhy Weideman, the sound design by Ben Emerson, and the original music by David Van Tieghem add to the tense domestic scene.